At three of our inns—The Marshall House, East Bay Inn, and Olde Harbour—family fun is practically mandatory. Parents will appreciate the spacious accommodations, with room for everyone! Kids will love the location, within steps of the coolest shops, restaurants, and tourist spots. Bring the family to Savannah! With addresses like Broughton, Bay, and River Streets, you can walk to many of the family-friendly attractions in Savannah like Leopold's Ice Cream and the Savannah Children's Museum. Take a trolley tour from the hotel and play! Our three family-friendly hotels on these streets, The Marshall House, East Bay Inn or Olde Harbour Inn, allow families to walk everywhere and enjoy Savannah with ease. 1. SAVANNAH CHILDREN'S MUSEUM - The museum features over a dozen exhibits designed to expand the imaginations of children, including an exploration maze, a reading nook, and a sensory garden. 2. GEORGIA STATE RAILROAD MUSEUM - With a fully operational turntable, you have the chance to explore historic railcars, experience the handcar, and go on guided tours. 3. JEPSON CENTER - The Jepson Center houses ArtZeum, an interactive children's museum space, and museum admission is always free for children 12 and under! It's designed with young people in mind, but challenges young and old alike to rethink their ideas about art. The ArtZeum features twenty-four activities exploring some big ideas about art: What is art? Why do we make art? How do we look at art? How do we value art? 4. LEOPOLD'S ICE CREAM - All of Leopold's super-premium ice cream is hand-crafted in historic downtown Savannah using the original, secret recipes handed down to Stratton Leopold by his father. 5. FORSYTH PARK - This 30 acre park is home to a half-shell theater, tennis courts, basketball courts, a cafe, two playgrounds, and ample room for sports and events. 6. TAKE A TROLLEY TOUR – We always recommend a trolley tour for our guests. 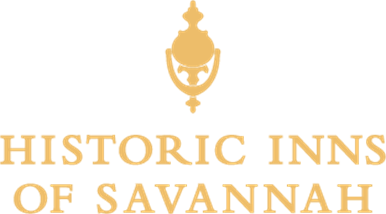 It’s a great way to see Savannah, and tours pick up directly from each of our three family-friendly Savannah hotels. Ask about Old Savannah Tour’s trolleys with characters! Located on Broughton Street and surrounded by fun things to do in Savannah, this hotel offers guest rooms with two queen-sized beds and suites with a king-sized bed and pullout couch. Either option is perfect for families and has plenty of room to spread out! Additional features well-loved by families include the elevator access to all rooms, and valet service right out front. Within a few minutes walk, you'll find some favorite Savannah Squares, a key factor when you have kids who need to get out and run around. Another great family-friendly option for your hotel stay in Savannah—East Bay Inn. Although this historic property was built in 1852, it has all of the conveniences modern families need and expect. Elevators make a swift and easy transport of strollers and other paraphernalia, and some parking is available just outside the East Bay Inn's front door. Rooms with two queen beds are available. Perfect for families of all sizes, the inn's spacious rooms and convenient layout make it particularly family-friendly. The hotel's Two-Bedroom River View Queen Suites are a perfect blend of privacy and togetherness. A downstairs bedroom serves as the master bedroom; while the loft room is furnished with one full-size bed and equipped with a television, and is ideal for the kids. The downstairs television even has a DVD player. And with its "bay" of three suites—that provide separate accommodations but with a shared foyer—the hotel accommodates extended families wonderfully well.